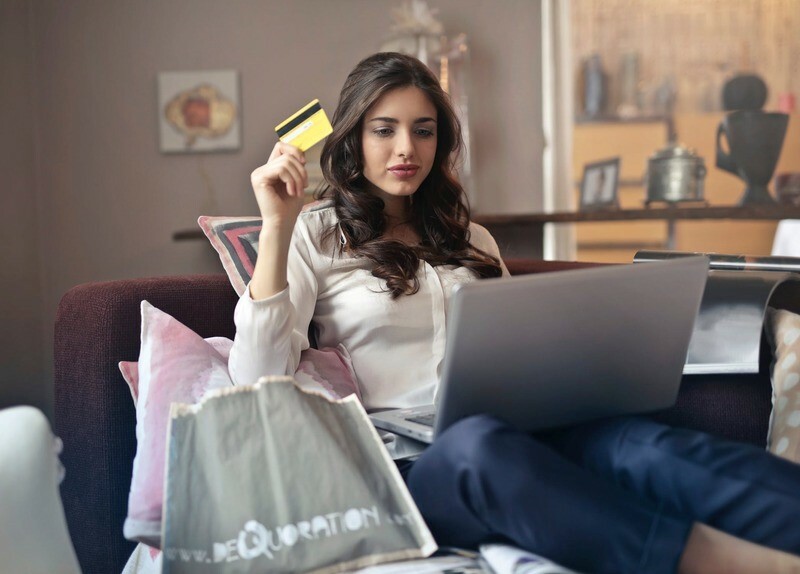 Shopping online has truly changed the way we behave as consumers: the convenience of placing your order anytime, from anywhere, and having it delivered straight to your door is a lifesaver for working mums. You no longer need to schedule your day according to the opening hours of the grocery store or the toy store – you can just as easily unwind in the evening after a long day and take to the internet instead. Yet, as with every activity in the virtual world, hackers are out and about to get their hands on our personal data – and especially our banking information. How can we better protect ourselves? Millions of people shop online every day. E-Commerce amounted to just 0.8% of total retail sales back in the first quarter of 2000 but now it has risen to over 9% in Q1 2018 – and, in Q4 of 2017, it went over 10% (hello, Christmas shopping!). In 2017 alone, total retail sales rose to $5.074 trillion and e-shopping contributed $450 billion on its own. Everyone is online shopping – and hackers know this only too well. They often set up fake sites and lure us in with discounts that seem too good to be true. The first thing you need to do when you are browsing and ready to place an order for an amazing offer is to check whether the seller is legitimate. A few minutes searching online for reviews and potentially negative feedback can save you a lot of pain down the road. Once you’ve made it clear that the website is ok, you should also check that they are doing everything in their power to keep you safe. Look for the padlock symbol on the left side of the address bar and make sure that the URL starts with https:// – the ‘s’ here means secure. These signs will let you know that the connection over which your banking data will be sent is secure and encrypted. Finally, whenever you receive an email from an online seller that asks you to click on a link, double-check that the email is legitimate. Otherwise, you might fall prey to a phishing attack, one of the most common tactics employed by hackers. In a phishing attack, malicious cyber-criminals pose as a trusted individual in order to trick their victims into clicking a malicious link that will lead them to unwittingly reveal sensitive information like banking details or even install malware on their device. As all of us know already, you should always use a strong password – and try to alternate the passwords you use online and change them once in a while. Never use the same password everywhere! And, when you are done shopping, always log out of a site where you have entered your banking details – that makes life so much harder for hackers. You should also beware of public networks: never shop online using a public Wi-Fi, as they are much more prone to security vulnerabilities. Wait ’till you get home so you know that you are using a secure connection. In order to increase your security at home, make sure you have proper security measures installed like an anti-virus and keep your browser and your software updated. Keeping safe online is easy if you know what to do – and as parents, you also need to make sure that when your children take to the Web, they also know what to do to keep safe.